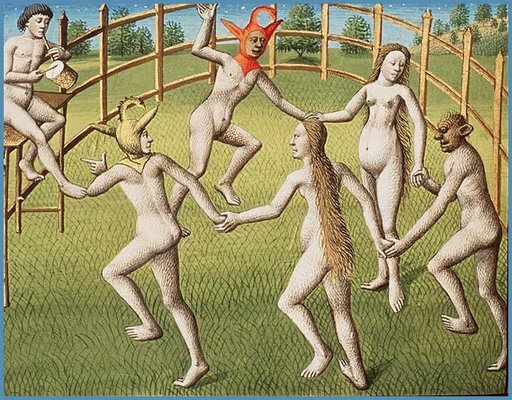 This is not Maurice Sendak illustrating A Good Time Among The Wild Pagans; in fact the images are from from a medieval illuminated manuscript in the Hague, about which I can’t tell you much more because the database links there are broken and don’t lead anywhere. 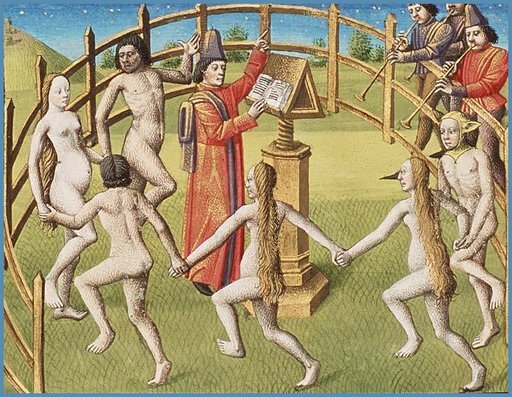 From context and some of the other captions, I’m guessing these are Roman pagan revels as imagined by sneering medieval churchmen, but I could be eight kinds of wrong. Looks like reasonably good partying to me! This entry was posted on Wednesday, November 29th, 2017 at 10:42 am. You can follow any responses to this entry through the RSS 2.0 feed. You can leave a response, or trackback from your own site. In the second image: that’s Tingle!